Even though the temperature outside is in the high 90's, the calendar says October. And that means that we need to get some fall art up on the walls. So Trevor and I made some scarecrows. Materials: watercolor paper, pencil, black Sharpie, yellow Sharpie, watercolor pencils, paintbrush and water. 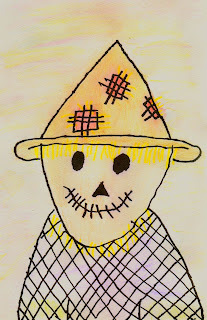 Begin by lightly sketching a scarecrow onto the watercolor paper. 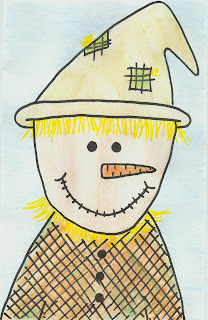 Use the yellow Sharpie to add straw along his neck, under his hat, and poking through any patches. Trace over all the pencil lines using the black Sharpie. 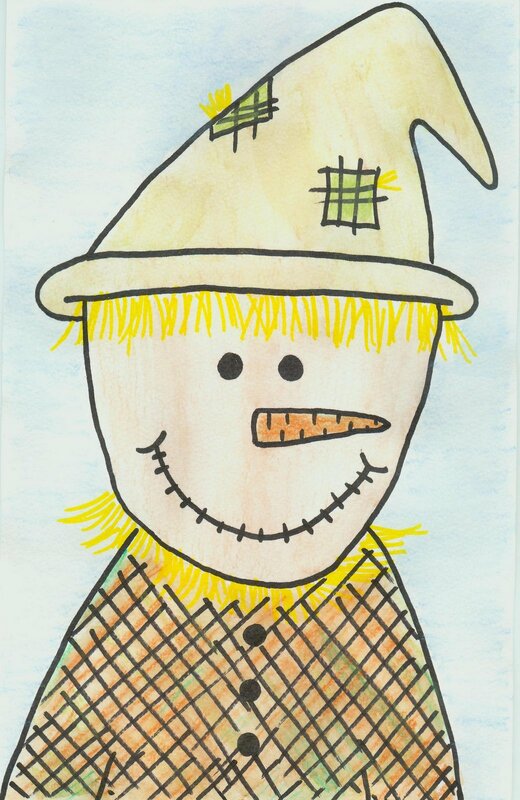 Lightly color your scarecrow using watercolor pencils. Use a fine brush to add water and what looks like colored pencil turns to watercolor paint. At this point, Trevor remembered that he had a baby puzzle shaped like a scarecrow. He insisted I dig it out so that he could use his puzzle for color inspiration. After Trevor studied the colors carefully, he decided to go with his own ideas. He really wanted a sunset background instead of a blue sky like mine. I love the way his turned out! Ohhhhhhhhh they both look amazing!! I am gonna try that pencil/water trick!!! Such a fun project. Love that Trevor has a mind of his own. 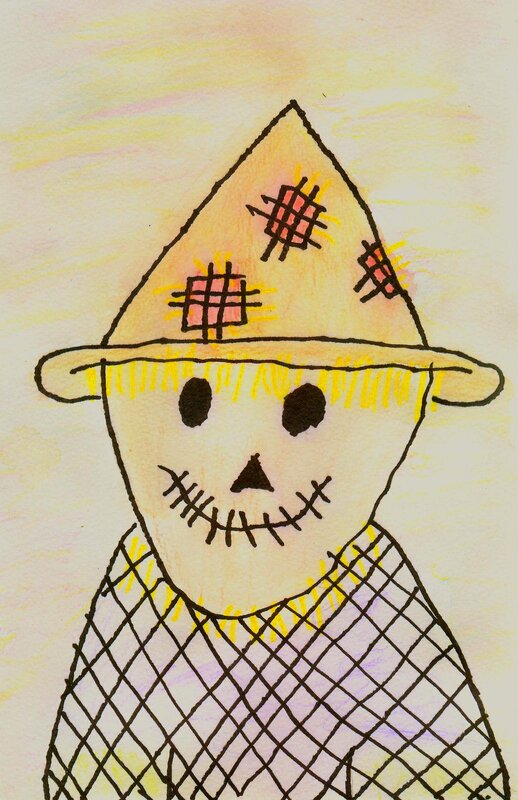 His scarecrow is super cute. These are really, really cute! I love the watercolor technique. Trevor did an amazing job!! These are just adorable. I think we need some watercolor pencils over at our house! Trevor's work is just amazing.